This week, we dove into the designs of Thea Colman. She designs sweet, chic garments and accessories with a vintage twist that are sure to please and delight anyone who knits or receives them. Hello Thea – what’s your story? Hmmm, this is always the hardest question, because what to tell? The basics: I’m married, live right outside of Boston and have two girls. One is 11, the other 15. I spent my early years in the corporate world – in advertising and left that when my first daughter was born. I’d met my husband at the office, so we both had the same unpredictable schedules and one of us had to go. I made less money, so the decision was easy. After that, I tried a few other careers, but this one seems to be the one that’s going to stick! When and why did you first start knitting? I started knitting as a teenager – there was a very traditional clothing and fabric shop in my town that sold things like pants with whales embroidered on them and madras shorts. It was called Clayton’s, and downstairs the most wonderful bunch of older women taught classes. In that class, I knit a terrible peach and white striped nubby cotton sweater and wore it all the time. Both my Grandmothers had knit and I’d always wanted to learn, but neither of them lived close enough to teach me themselves. Whenever I saw them it would be a big family event and not the time. From a peach and white striped sweater to a leading knitwear designer – talk us through a day in the life of Thea Colman, knitwear designer extrordinaire! There are the fun days where I leave the house to meet up with other designer friends or get to teach or attend an event or something, but most of my days are spent home alone, either writing or knitting or working online. Showering is optional, and the goal is to stay out of the kitchen. I try to make a Friday AM coffee date just so I have to shower and speak to an adult at least once a week. Sometimes I go to shops and take secret photos of sweater details on my phone or measure things that I like in a dressing room, and my friends are amused by that. On writing days, I take over the dining room table with measuring tape and notes and graph paper and pencils, and on knitting days I take over the sofa with mugs of coffee, yarn and a notebook. On days when I am figuring out a new design I take over the whole house with stitch dictionaries and sticky notes. And in nice weather, I move the whole operation out to the patio. I keep my stash of yarn and books in a back office, but you can find stray skeins lying around and stitch markers or darning needles live between all the cushions in the upholstery in this house. Well, we all know the perils of stray knitting accessories! So, Thea, how would you describe your design style? I try to design things that I will enjoy both knitting and wearing. My goal is to hit that spot between unique and classic where it does not look like everything else out there, but it’s not so different that it won’t fit into your wardrobe. I love vintage details, and I don’t like things to be either too fitted or very big. And I don’t have one type of construction or sweater that I stay with. I love to keep trying new things. Are there specific techniques, like lace, cabling, or colorwork, that you like to incorporate in your designs? I love a good cable. And a lace panel. I try to keep my details out of the shaping so that people can make modifications to their garments. And I want to do more colorwork, but I don’t love it (all those bits!) so I often end up with little motifs instead of bigger ones. Vodka Lemonade, and Dark and Stormy. And Cassis. And Irish Coffee. Which of your patterns would you recommend for a beginner, and which for someone looking for a real challenge? I think that Vodka Lemonade is very straightforward — as well as Bombay Sapphire, and Vodka Gimlet. I’m not sure that any of them are a REAL challenge, but more complex would be Bailey’s Irish Cream or Chocolate Stout. What do you enjoy knitting for yourself? What I really WANT to knit for myself and I plan on taking on the road this summer are shawls. I wear the few I’ve designed all the time, and I want to work on more construction methods. I want to knit OTHER DESIGNERS patterns, and I never have the time. A tweed. I love the hidden flecks of color and the texture of tweed. It’s down to earth and not fussy and there aren’t hidden surprises in how it’s going to behave when blocked or worn. It can take a few year’s wear. I think I’m that way – what you see is pretty much what you get – I’m not high maintenance or fussy, and I can do whatever’s asked of me usually. I’m dependable, pragmatic. My daughter is here and she agrees. Tweed. She also said something nice though – the hidden colors are like me because there’s all kinds of things I say and do that you may not have thought I’d say or do if you just saw me on the street. She thinks I’m interesting (Surprising comment from a pre-teen about her old mom!). That’s all, folks! Check back next week for our next installment of indie designer of the week. In the meantime, check out all of Thea Colman’s fabulous patterns by clicking here. Last updated: March 20th, 2015. I have been trying to buy the Lemon Vodka Pattern and yarn without success and there is no contact number to call you. Can you please let me know how by e-mail or phone (01557 870038) (internet not good at present!!) how I can purchase both and the cost of the yarn. Hi Ann, I just clicked on the name of the pattern where it’s “bolded” within the article and it took me straight to the loveknitting shopping area. 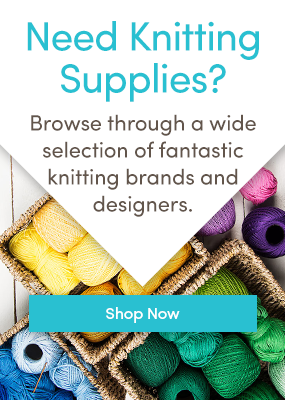 The patterns seem to be downloadable as pdf versions and on the RHS of the page, there is a list of recommended yarns where you should be able to put together a shopping basket to see the total cost if buying from the site. If you’re having internet problems, you may have to work on a friends pc or maybe the library, but I do think you’re pretty much limited to internet shopping. Lovely patterns indeed, I’d like to do the big “stout” sweater. I hope you have some luck with your purchase. If you have any problems you can email smiles@loveknitting.com and the team can give you a hand. I’d just like to say what great patterns. Is Thea planning to publish a book? I have several of Thea’s patterns planned for future projects (Vodka Lemonade and Cassis) and have Dark and Stormy on my needles now. What I especially like are sweater patterns that work from top down and aren’t too fitted. And because she designs them to be easily customized as to length I can fit my 5’8′ height and my short waisted torso. Love the names too! Absolutely love and would wear all of these patterns! (Love the names too). I love almost all these patterns. I bought Baileys a couple years ago but didn’t get time to knit it yet. There’s always someone else who wants to knit or make them something. I’d like to knit Vodka Lemonade too. Beautiful patterns would like to have them.How can I order them? These are the hands down favorite patterns that need minimal adjustment. LOVE reading BabyCocktails! !